Moving from your present location to a new state can be more than just renting a moving truck or van. By keeping some important things in mind, you could make the most of your time and not suffer from stress trying to ensure that all things are in order. If it’s a very small move say 1-2 items then the cost needs to be considered as a wardrobe moving from Melbourne Victoria to Cairns Queensland. It would be easier and cheaper to just buy a new one in Cairns. There are several interstate moving companies that offer low rental trucking rates. However, it is rather important for the people like you who are planning to move from one state to another to list the transportation-related costs such as the gas and per-mile rates, which can significantly increase the moving charges. If you have pets and you will not be bringing them with you as you move to your new place or you are not allowed to have pets on your new home, things can get more complicated. The costs of boarding your pet at a public kennel while you are performing your move to a local place should be taken into account. On the other hand, if you are going for hauling large furniture or appliances, hiring a company offering moving services on large and heavy goods is another cost that you must include into your budget. 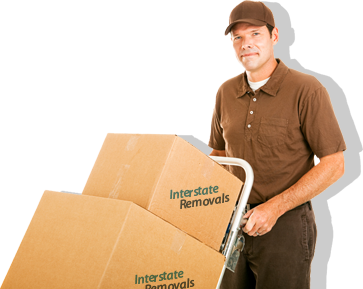 The moving furniture interstate rates usually depend on the number of the items being moved, the type of the home being delivered to, and the number of the movers needed to carry out the move.